Renault has formally confirmed its purchase of the Lotus squad, paving the way for its return as a full works team in 2016. Renault operated the Enstone outfit between 2002 and 2009, after which it was owned by Genii Capital, which changed the name of the team to Lotus prior to 2012. Renault has remained in the sport as an engine supplier to several teams and having signed a letter of intent in September, will now return to the squad which finished sixth in the 2015 standings. "Renault had two options: to come back at 100 percent or leave," said Renault CEO Carlos Ghosn. "After a detailed study, I have decided that Renault will be in Formula 1, starting 2016. The final details supplied by F1’s main stakeholders gave us the confidence to accept this new challenge. "Our ambition is to win, even if it will take some time." 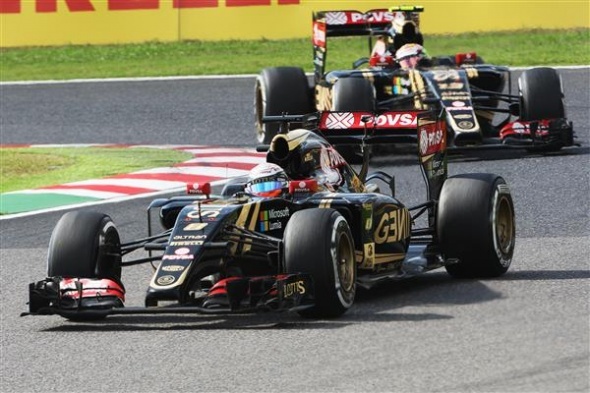 Renault confirmed that "work continues on finalising the terms of the acquisition of the Lotus F1 Team in the shortest timeframe possible. The principal contracts were signed on December 3, 2015." "In January, we will provide more detailed information about Renault’s F1 programme ahead of the 2016 championship that begins next March." The outfit has already signed Jolyon Palmer to partner Pastor Maldonado for 2016.